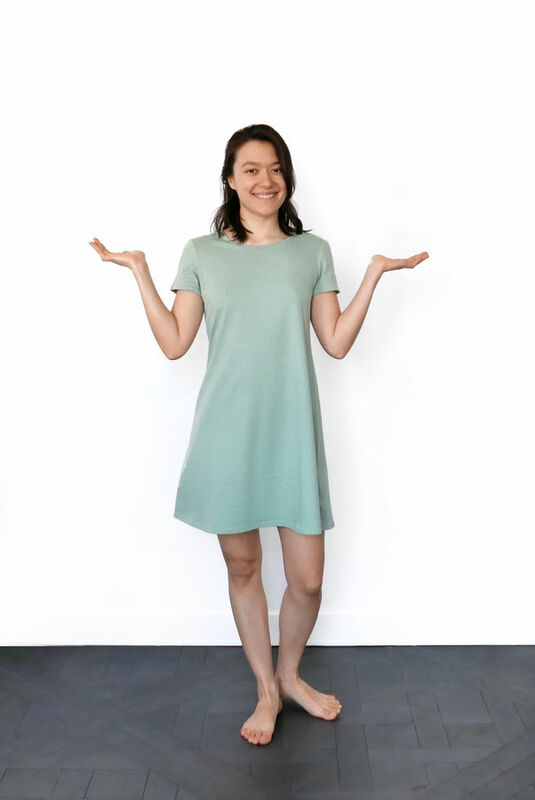 This jersey dress is a very confortable casual piece that is also quite easy to sew. 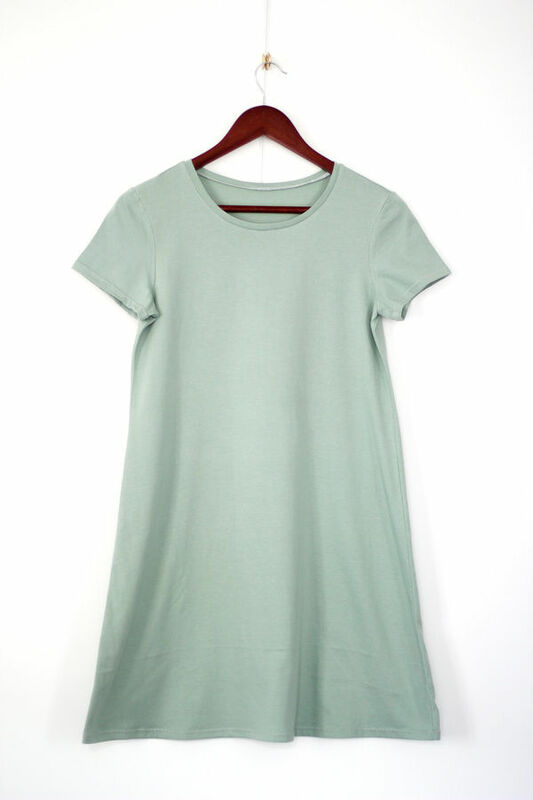 The dress is a simple tshirt dress with short sleeves and an A-line silhouette. It’s a dress for all ages. 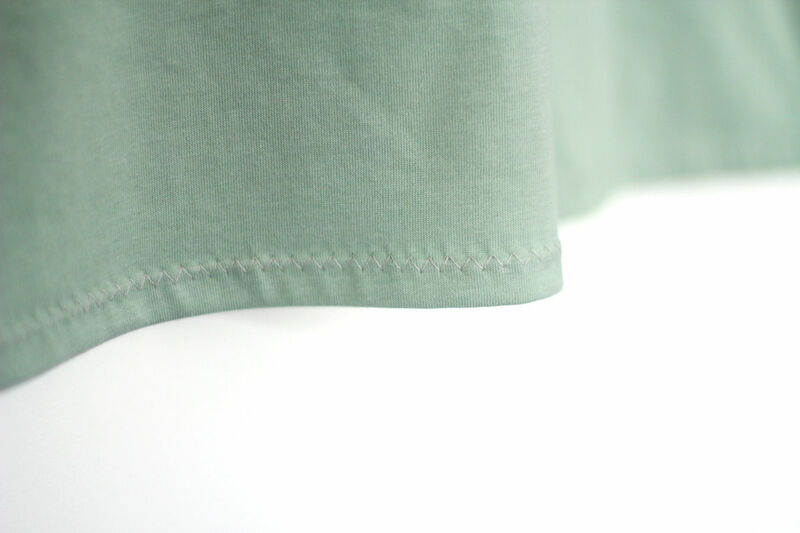 Sew it in a single jersey fabric for a light and flowy look. Sizes: this page allows you to purchase the pattern in sizes S-M / US 6-8 / UK 8-10 only. 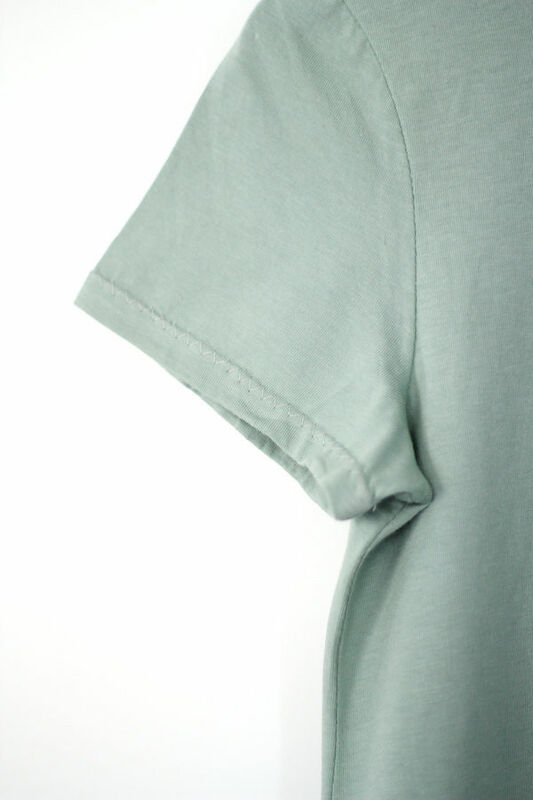 The pattern also is available in XS-S / US 4-6 / UK 6-8 and M-L / US 8-10 / UK 10-12, L-XL / US size 10-12 / UK 12-14, XL-XXL /US size 12-14 / UK 14-16. 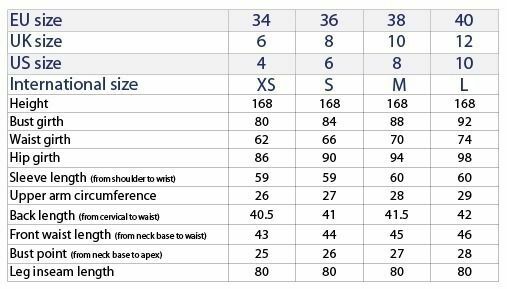 Have a look at the sizes chart (in cm) to determine the size that suits you. 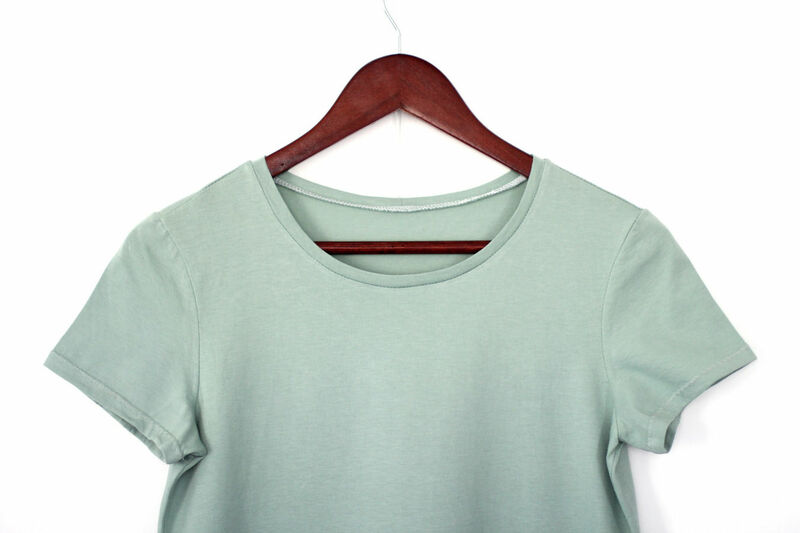 Fabric: the pattern is meant to be sew in a knit or jersey fabric.